Things are finally moving ahead. Liberty Media's takeover of Formula 1 has made significant progress. First the company's shareholders voted that the takeover process may go ahead. Then the same takeover received unanimous backing by the FIA at the World Motor Sport Council meeting held in Geneva. Representatives of Liberty Media, owned by parent company 21st Century Fox, made a presentation at the WMSC meeting, in order to allow senior FIA officials the opportunity to address any queries they might have had about the takeover. It has been reported that John Malone, the owner of the company, will keep a close eye on how things are run in the 2017 season. While Chase Carey, the vice chairman of 21st Century Fox has already been appointed the CEO of the Formula One Group, there is still no word on when and how Bernie Ecclestone will leave the sport. 86-year old Ecclestone is still the head of operations of the sport, and has shown no signs of retiring any time soon. 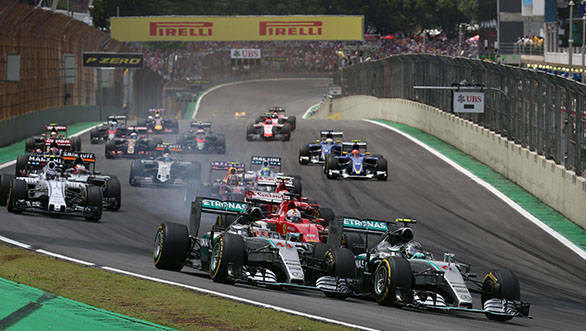 Although the takeover of F1 by Liberty Media could well be a sign of things to come.